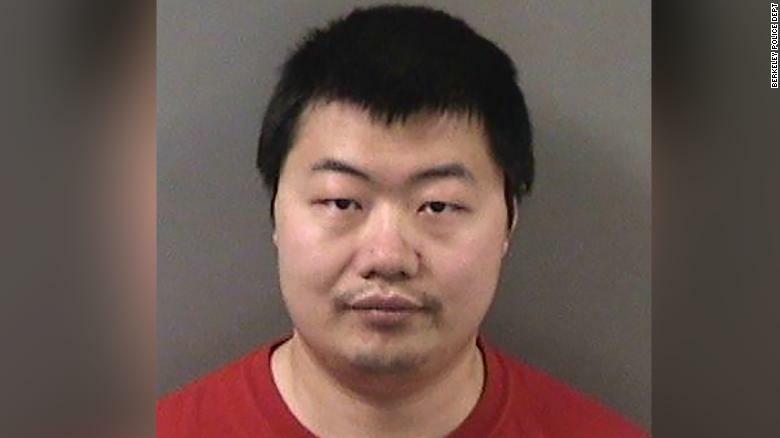 David Xu is accused of poisoning a coworker at Berkeley Engineering and Research. A female engineer at a Bay Area consulting firm says she suffered months of “immediate and significant health problems” after consuming food and drinks she had left at work — and she believes they were poisoned by a colleague, according to police. By reviewing surveillance video from inside her office at Berkeley Engineering and Research in Berkeley, California, Rong Yuan said she saw her co-worker, David Xu, spiking her water, according to the court documents. Yuan has not responded to requests for comment. Xu, 34, was arrested on March 28 and has been charged with three felonies: premeditated attempted murder and two counts of poisoning with enhancement. The last two counts stem from suffering experienced by Yuan’s relatives, who drank from her water bottle after she brought it home from the office. All three alleged victims’ blood samples contained elevated levels of cadmium, according to police. Xu, also an engineer, pleaded not guilty to charges during a court appearance on Thursday. “Mr. Xu is presumed innocent. That means despite the allegations, he is presumed innocent until proven guilty beyond a reasonable doubt by the government,” his lawyer, Julia Jayne. Yuan told Berkeley Police last month that she had been noticing “a strange taste or smell from her water and food left unattended in her office” on multiple occasions between October 2017 and last month. She said she suffered immediate health problems after consuming the items and at times had to visit the emergency room. In 2019, she reviewed the surveillance video, which showed Xu adding a substance to her water bottle twice — once in February and once in March, according to the documents. Tests later concluded that cadmium, a toxic metal, was present in samples taken from her water bottle. Exposure to cadmium can cause cancer. When ingested, the metal targets the body’s cardiovascular, renal, gastrointestinal, neurological, reproductive, and respiratory systems, according to OSHA. Common industrial uses for the toxic metal are in batteries, solar cells, corrosion-protection coatings, and the substance is also used in pigments. Berkeley Engineering and Research did not respond requests for comment. The Alameda County District Attorney’s office told that Xu’s bail is set at $2 million. His next court date is on May 9 for a pretrial hearing.